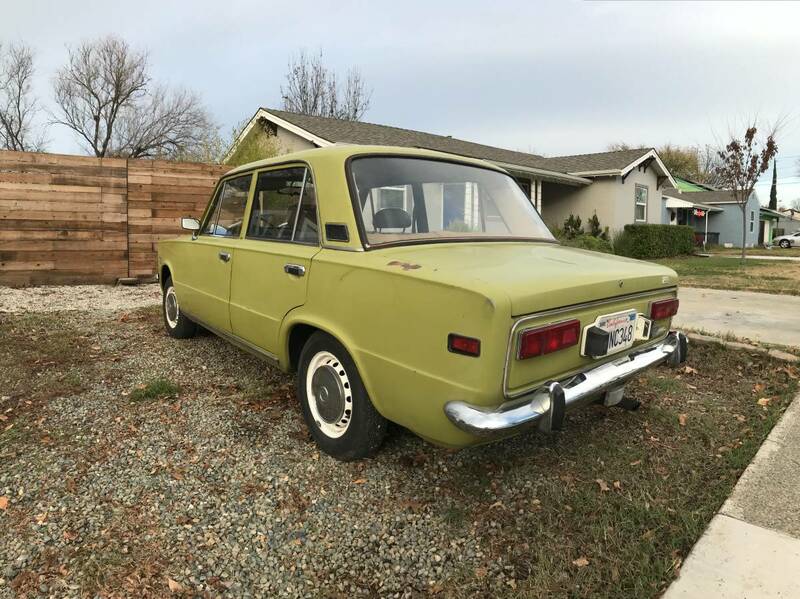 When was the last time you saw a Fiat 124 in North America? Introduced in 1966, it won the European Car of the Year Award. It wasn't all that special to look at, but it had a lot of interior space for a small car. Mechanically, it came with a 1.4 liter DOHC 4 cylinder engine. The transmission was an all-synchromesh 4 speed. The brakes were discs all around . The suspension provided a great combination of comfort and handling. The combination of those features wasn't often seen in 1966. 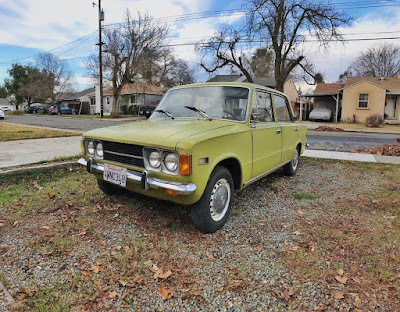 Fiat sold these cars through 1974, but it lived on in other countries well into the 21st century. The Russian VAZ / Lada 124 based cars were built in Russia through 2012 and in Egypt through 2015. In India, Premier Automobiles built them through 2001. They were also built in Bulgaria, Spain (as SEATs,) and Turkey. 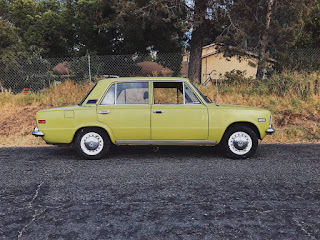 They were built in South Korea by Asia Motors until 1975, when Kia took over the company. This Fiat 124 is a survivor. 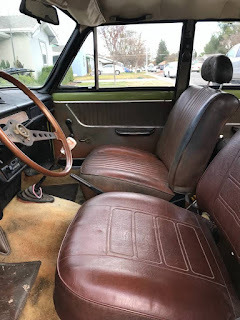 You can't talk about old Fiats without talking about rust. They rusted like few other cars rusted. Somehow, this one seems to have escaped the tin worm. The interior is in fair shape. The dashpad is shot and it appears to be missing some switches and miscellaneous interior pieces. Mechanically, the seller says it "runs and drives good for its age." I'm not quiet sure what that means. All-in-all, this is a very restorable car. The asking price is $4600.00, which at first glance seems high. But, try finding a nice one these days, especially a North American model. If you're looking for a cool, unique car to bring to cars shows - one that, if you do the work yourself, won't be too tough to restore - this car may be worth every penny of the asking price. Like I said in the opening, when was the last time you saw one? Fiat introduced the 124 in 1966 with an ad showing one being dropped from a plane. It survived and the ad is cool to watch.